Memorial Day and its long weekend are right around the corner and many people will be undertaking landscaping and other projects that could include digging. 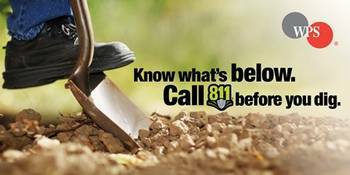 For those wishing to do this work over the weekend, they should call 8-1-1 before 6PM Tuesday, May 24 to get underground facilities like electric, cable, and water located. Doing these projects without calling 8-1-1 beforehand is a risk no one should take.